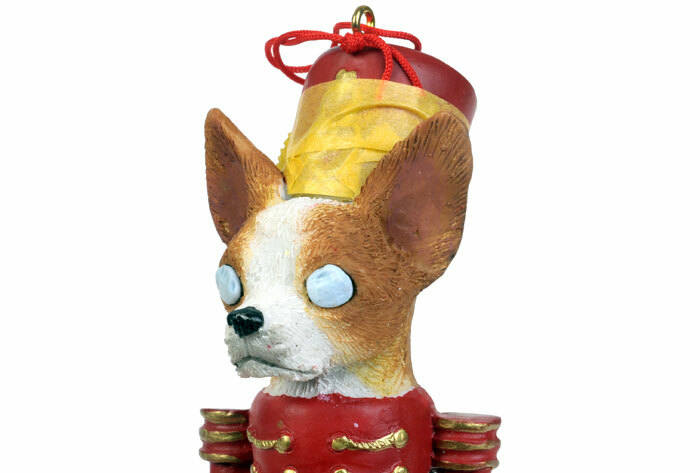 She has a big collection of decorations and nutcrackers that emerge from the basement around this time of year, and we can always be sure that a few new treasures will be added to the display. 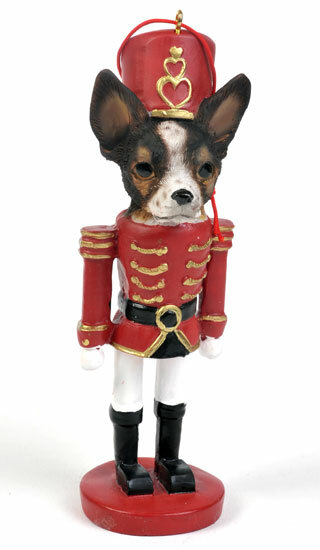 On the weekend, Debbie showed me her newest acquisition - a five inch tall ceramic Christmas soldier with a dog's head. 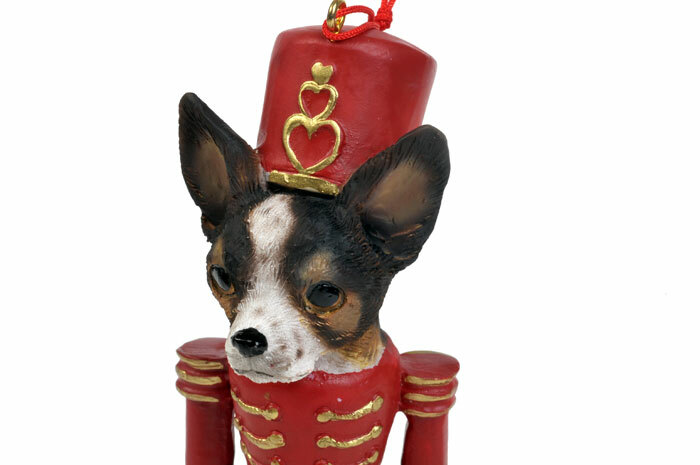 We have a Miniature Fox Terrier cross, and she thought that this decoration looked a bit like him. The sculpting was very nice and the face was painted in tan and white. 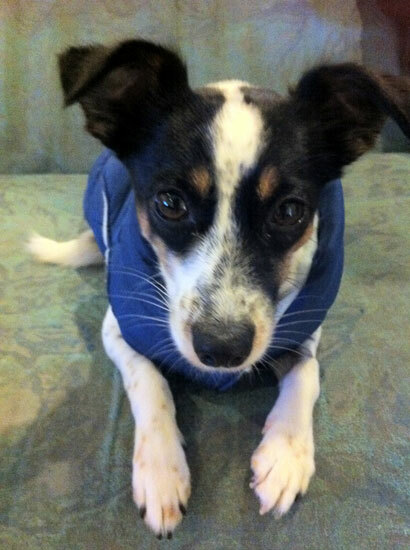 Our dog, Basil, is mostly black and white with a few patches of tan around his face. Debbie asked how hard it would be to recolour the face. "I could just colour it in with a black texta", suggested Debbie. "Oh, I don't think so", I replied. "Because it will look like you coloured it in with a black texta." "Well", said Debbie, "could you paint it with your airbrush?" "No problem", I said, happy to finally find something in my workshop that Debbie would consider useful. "What about the little spots on his snout?" "In the model business we call that mottling". I masked off the hat with Tamiya tape and pushed a couple of small blobs of Bu-Tack onto the glossy eyes. A thin mix of Tamiya XF-1 Flat Black and XF-64 Red Brown was loaded into the airbrush and the new outline of the black patches was defined. The rest of the black areas were then sprayed, taking care to leave a few patches of tan around the eyes. I made the patches larger than Basil's in real life to lend a bit of extra tonal interest. Some very light spots were mottled on the white section of the head and below the dog's mouth at this stage too. Tamiya XF-1 Flat Black thinned with around 60% isopropylene alcohol was then loaded into the airbrush to provide a bit of shading. The darker paint was sprayed along the collar demarcation, and in lines at the base of the ears and underneath the jowels. A pale tan was then mixed and sprayed as a highlight shade along the top of the tan patches above the eyes, and partially inside the ears. With the paint job complete, the tape and Blu-Tack masks were removed. I brush-painted the nose with a coat of Future floor polish for a healthy wet shine. This was a fun little project that only took 30 minutes to complete, and Debbie is now quite happy with her new decoration. I'm not sure what Basil makes of it though!